A Can of Biscuits Has Never Been This Amazing! Directions: Preheat oven to 425 degrees. 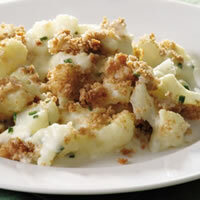 In a small bowl mix together the melted butter, garlic powder, dried parsley, minced onion and parmesan cheese. Spread mixture in the bottom of a 9 inch glass pie plate. 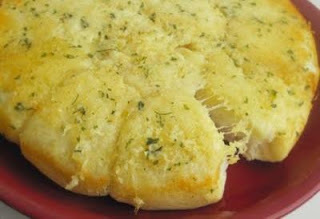 Sprinkle the shredded mozzerella cheese evenly over the top of the butter mixture. Bake biscuits in the oven for 12 minutes or until golden brown. 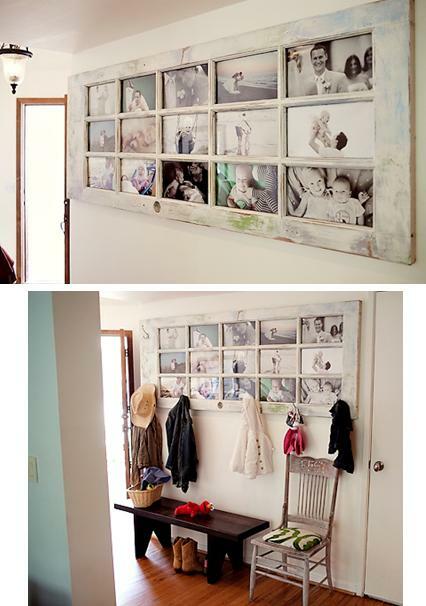 Remove and let stand for 3 minutes. Turn biscuits upside down onto a serving plate. Serve warm! Note from Angela: This is easy to do with just one can of biscuits as well to serve 4, not to mention this are addicting and I cannot leave the table without eating them all! Both necklace and bracelet serve as a reminder of A.S.K Ask, Seek, Knock from Matthew 7:7. ASK and it will be given; SEEK and you will find; KNOCK and the door will be open. 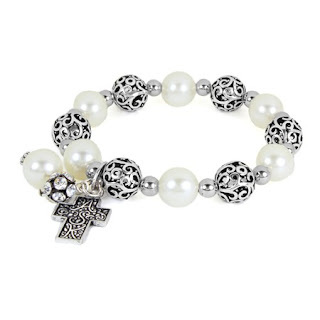 Bracelet is available in white, green, brown, hematite and silver. In a bowl whisk together olive oil, cumin, salt and cayenne pepper (if using). Add in shrimp and toss to coat completely. Cover and refrigerate for 20 minutes to give the flavors a chance to marry. Cook shrimp in a skillet on medium heat until pink and cooked through, about 5 minutes. Turn off heat and cover to keep warm. Use enough oil to lightly coat the bottom of a small pan, about 2 tablespoons. Heat over medium -high heat. Cook each tortilla, place them on paper towels to absorb any of the oil left over. Spoon 5 shrimp into each taco shell. 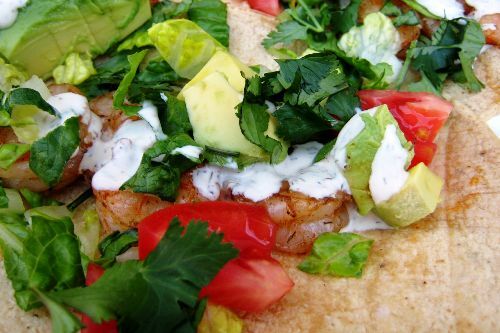 Top with lettuce, tomato, avocado and cilantro-lime sour cream. Serve. Stir all ingredients together in a bowl. Served with black beans, chips & salsa. Angela's Notes: This is a family favorite we have enjoyed for a couple of years now. Mackenzie was home for the first time since beginning at UNC, Chapel-Hill and this recipe was her first request for dinner. As mentioned above, go the extra step to make the Cilantro-Lime Sour Cream. It really adds a gourmet flair that puts this recipe over the top of the norm. We have been very busy decorating and organizing our Christmas decor. 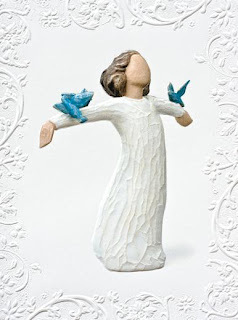 Please stop in to see everything at it's best. Right now we are fully stocked. The best always sells out early, so do not miss out seeing it all early. Merry Christmas! Have You Seen Our New Fall Pandora Beads? New Pandora spacers...Floral Vintage Spacers ($25.00 each) Vintage colored enamel with flower like details create a delicate and timeless look. (Available in grey, brown and purple and currently in stock). Hidden Romance Bead and Earrings to match. Both are truly lavish and textured with bezel set rhodolite. In stock now. 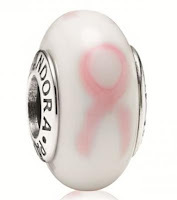 Keep reading your blog emails and post for highlights of additional new Pandora beads. Let's add a little flirty fun to our fashion! 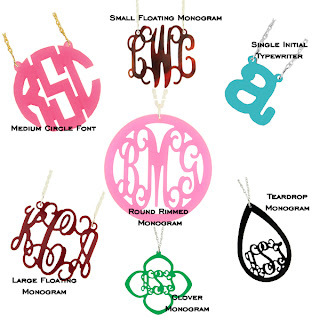 These colorful, acrylic monogram pendants put a fresh take on a classic design. They're available in a variety of styles and colors. Your pendant will be on a 16" chain but longer lengths are available at a modest additional cost. .
New Willow Tree Greeting Cards! 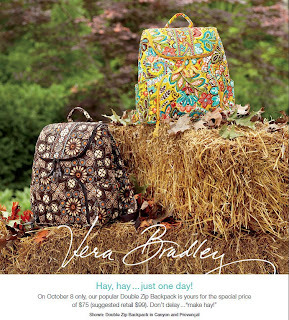 Vera Bradley Double Zip Backpack $75.00 Today Only! Today Only! 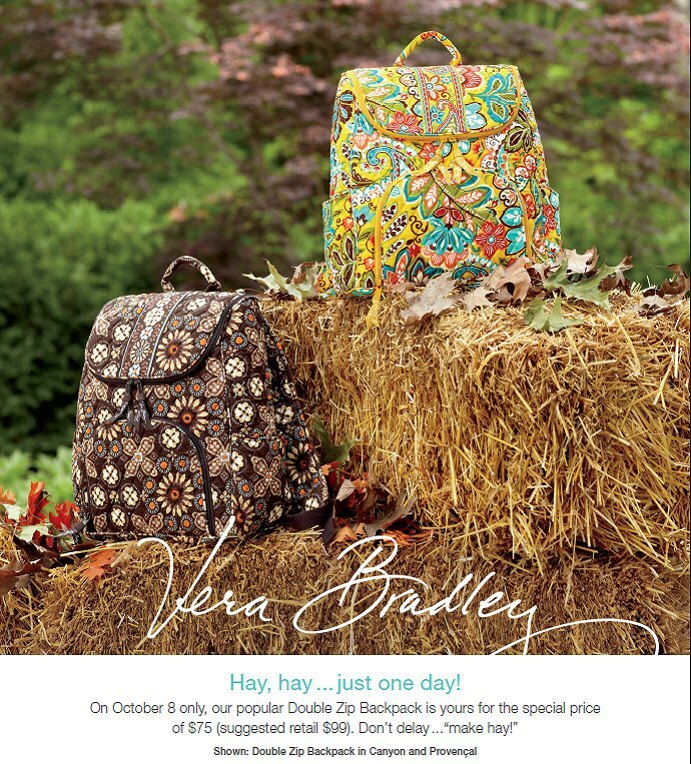 (Monday, October 8th) You can purchase a Double Zip Backpack for a sale price of $75 (regularly $99)! If you have someone on your Christmas list who is need of bookbag, then this is the day to purchase it!